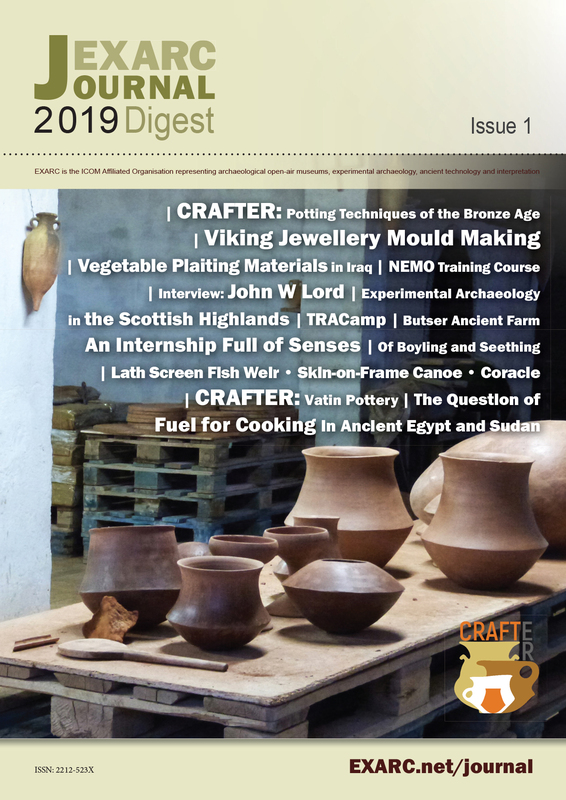 The EXARC Journal (since 2004) is the leading Journal for those involved in Archaeological Open-Air Museums, Experimental Archaeology, Interpretation and Ancient Technology. It features the latest developments in fieldwork, academic research, museum studies, living history interpretation and ancient technology. The articles presented in those four sections are reviewed. In unreviewed Mixed Matters we present book reviews, reports from conferences and events, interviews with personalities from the world of experimental archaeology and portraits of archaeological open-air museums. This section is regularly updated to bring you topical news. The EXARC Journal is published as an online Journal (open access) four times a year. Each issue contains about 10-15 articles. The EXARC Journal is the follow-up of EuroREA, our previous members-only Journal which you will find in Online Issues as open access PDF. The EXARC Journal Digest highlights some of our best articles. This full colour Journal, published in hard copy twice a year, is only available for members and subscribers. Themed collections reproduce a series of articles, published over the years, around a conference or other theme. All are welcome to publish with us. There is no fee for publishing through EXARC but equally we do not pay the authors either. Contact our Chief Editor, J. Kateřina Dvořáková, for any information about the EXARC Journal. All are welcome to publish with us. Whether a member or not, anybody with a relevant manuscript can contact us. There is no fee for publishing through EXARC but equally we do not pay the authors either. For further information click here. We regularly place advertisements in the EXARC JOURNAL Digest. This is an attractive way of presenting your museum, event or company to the readers. Advertising is open to both EXARC Members and non-Members. Click here for the specifications. The EXARC Journal is dedicated to open access. All the original articles and review papers published in this journal are free to access immediately from the date of publication. The EXARC Journal doesn’t charge any fees for any reader to download articles or reviews. For further information click here.